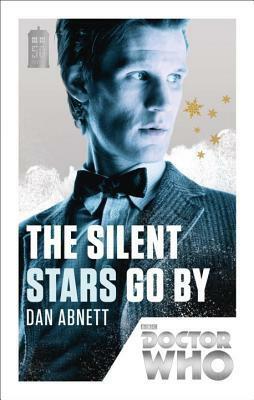 Thanks to TLC Book Tours, we're pleased to present a review for The Silent Stars Go By, an Eleventh Doctor adventure, by Dan Abnett. Make sure to check out the rest of the tour stops to see other reviews, and keep reading to enter to win an awesome giveaway! The winter festival is approaching for the hardy colony of Morphans, but no one is in the mood to celebrate. They're trying to build a new life on a cold new world, but each year gets harder and harder. It's almost as if some dark force is working against them. Then three mysterious travelers arrive out of the midwinter night, one of them claiming to be a doctor. Are they bringing the gift of salvation or doom? And what else might be lurking out there, about to wake up? There were some parts where the book dragged a little, particularly in the sections which only focused on the Morphans. And like any Who story, the final conclusion and how the Doctor works out the problem felt rushed and a little convoluted, but if you're a Who fan, you're probably used to that. I don't think you need much prior knowledge about the show to read this book and understand it, but the book's real strengths -- the dialogue and relationship between Amy, Rory, and the Doctor -- have more meaning if you're familiar with the characters already. There is some violence of the scary-alien-monster kind, but otherwise, this is a very clean read. And thanks to TLC Tours and BBC Books, we've got a great giveaway! This one is open internationally, so you're all eligible. (Well, maybe not if you're on Gallifrey, that might take a lot of postage.) Enter in the Rafflecopter for your chance to win your choice of Earthworld (reviewed last week), The Silent Stars Go By, or the trivia book Who-Ology! I'm going to try and watch all the Doctor Who eps in existence! I am so excited about the 50th anniversary episode! I can't wait to see what they have planned. I'm currently working my way through all the episodes from the 9th Doctor to the present ... I wonder how many hours they total?! Matt Smith is my favorite Doctor (can you tell I'm a newer fan?) so I'm glad to know that this book really captures his voice and mannerisms. Matt Smith's definitely my favorite doctor, too -- I've been a little underwhelmed sometimes by the writing on the show, but he's been doing a fantastic job. Thanks for having us! I really enjoyed getting to be a part of this tour. Cant wait for the 50th and reading this book! So excited! I can't wait to see what they come up with for the 50th anniversary special.